Hydro66, a London UK company, today announces that it has made a significant investment in Boden, located in The Node Pole region, close to the Arctic Circle in northern Sweden, with the unveiling of a specialist data centre facility. The new data centre will be operational from 14 May 2014. The new Boden facility harnesses abundant renewable power from the Luleå Älv River. 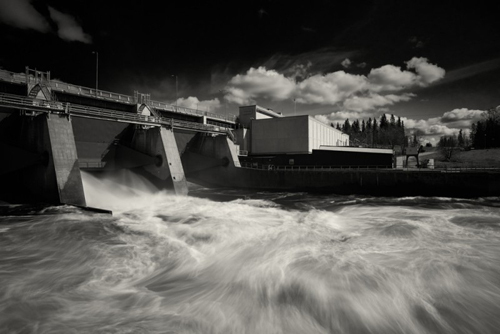 The new data centre is situated next to the Luleå Älv and the 4,200 MW of green hydropower that the river generates (twice that generated by the Hoover Dam on the Colorado River, USA). The facility is fed directly by the 78 MW Boden hydropower station, located less than 500m away. Power is delivered with both minimal impact on the environment and extreme stability – the regional power grid has delivered 100% uptime since 1979. Exceptionally low ambient temperatures in the region also result in free air cooling for 360 days per year. This, along with the fact that northern Sweden enjoys some of the lowest electricity prices in Europe, enables the new data centre to offer significant cost and operational advantages when compared to other existing data centres, typically located in high-cost urban population centres. Hydro66 will wholesale its facilities for cloud-based services and storage at a very cost-effective price point. Hydro66 already has anchor customers, including a specialist virtual currency miner, that have exceptionally high-power density and resilience requirements. The Node Pole region also plays host to large-scale owner-operated data centres including Facebook’s two Mega Data Centres and KnC Miner’s rapidly growing operation. Hydro66’s offerings are targeted at the global wholesale and enterprise marketplace.